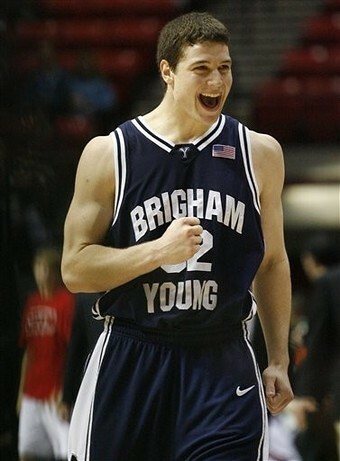 +I love BYU Basketball although they lost vs. Florida last night. Sweet 16 was amazing and I really wanted BYU to get to the Elite 8. I have been mourning over the loss!!! If they won I told myself I could fail my ManEc test and be happy...read on haha. Anyways, it was SO much fun to watch the BYU Basketball team this past year, attend multiple games, watch many on TV with Kevin freaking out screaming at the TV! I wonder who will pick up Jimmer...hopefully the DENVER NUGGS!!! BYU Basketball did not disappoint this year! +I am proud to be a BYU Cougar. 1 month left here (Marriott School of Management)...bittersweet! 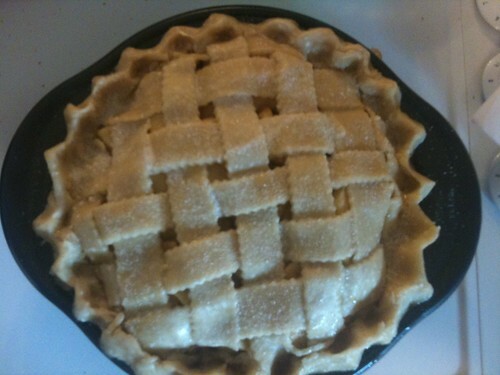 +I can make a homemade pie with crust and a bomb lattice top. Good times in my BYU cooking class!!! We each made a pie and baked it at home! +I miss playing tennis at Miramont Lifestyle Fitness. Playing indoor tennis is amazing! No sun, wind, or crazy weather conditions! Perfect temperature...love it! +You can find renters FAST for your rental apartment. We posted an ad last Wednesday on KSL and Craigslist and had an open house on Saturday...and multiple couples wanted our place! No more worries about getting renters...hallelujah! The internet is miraculous. +I want to buy a house. We went up to our friends, Jonny & Stephanie's friends' house...if that makes sense...and man it feels good to be in an actually HOME! Not just college apartments! Amazing. +Having a family member on a mission is fun. It is fun to get weekly emails from Kelsi and fun to write little letters! +I have bad senioritis and don't want to study. +I can make homemade bread with my Kitchen Aid mixer. I made homemade yeast bread-sticks for last Sundays' dinner and they turned out great! First attempt at bread and success! +No matter how much I try in my Economics classes I am still Econ-dumb. I have been studying since Monday and met several times with my ManEc group...attended several reviews....took my test today...was feeling good...it was taking WAY TOO LONG and then I finished and got a 63%! What? Haha I don't care. This means that my last midterm ever at BYU I got a D! Sweet shows how much I've learned haha! It is just annoying to spend so much time and effort studying and taking the test to get that score. The test was multiple choice and had several essay questions...and I always do better on the essay portions... I get so confused with multiple choice questions so I will def get a better grade on the workout portion!!! I got way higher than the average on my last ManEc midterm's essay portion so I'll be totally fine. 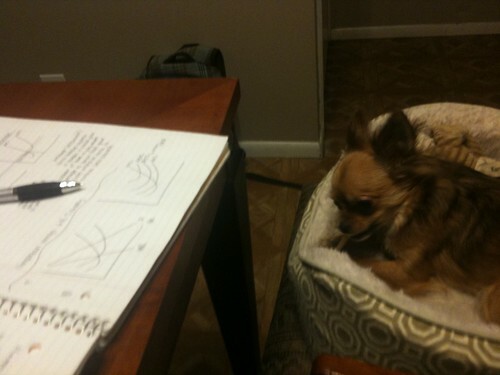 Katinka was my study partner while Kevin on was on campus late last night! 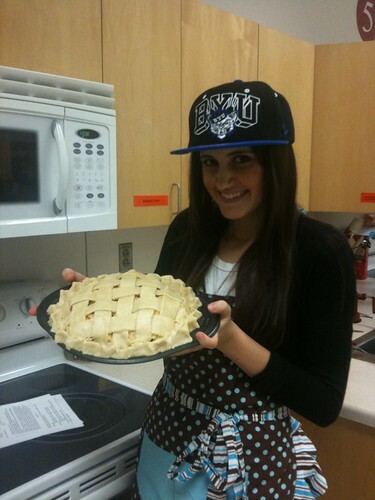 that is the prettiest pie I've EVER seen! !